Royal Plastics, Inc is an experienced provider of plastic injection molding services, serving both domestic and international customers. Our plastic injection molding capabilities include shot sizes up to 160 oz., with a maximum clamping force of 850 tons. We are also able to provide insert molding and overmolding services for more complex, multi-piece parts. The range of materials that we work with is extensive, and includes ABS, nylon, polycarbonate, polypropylene, acrylic, thermoplastic, and several others. Our efficiency and quality control standards are well-documented, with ISO 9001:2015 and Six Sigma certifications. Our quality control manager is also happy to work with customers to elevate their own internal quality systems. We accept both low- and high-volume production orders, even making prototype-quantity runs when required. 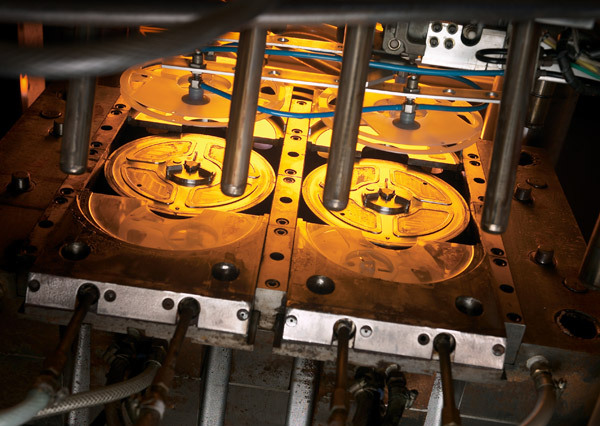 Tooling, stamping, assembly, steel components, and electronics operations are all located in-house at our facilities, improving turnaround time and cost-effectiveness for our customers. We also proudly offer extensive secondary processing and machining capabilities, including circuit board assembly, CNC machining, and testing. We look forward to your inquiry. Please contact Royal Plastics for a quote today.